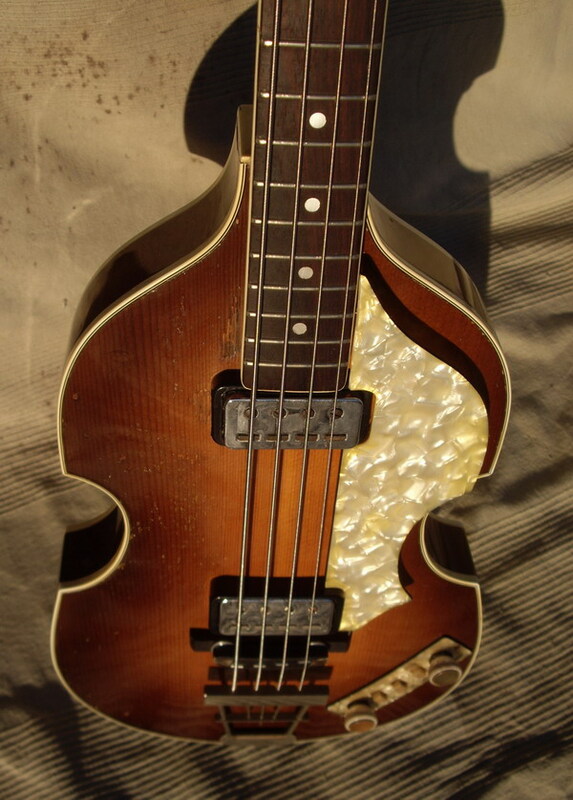 The bass was designed by Walter Höfner in 1955 and first shown to the public at the Frankfurt Musikmesse in the spring of 1956. 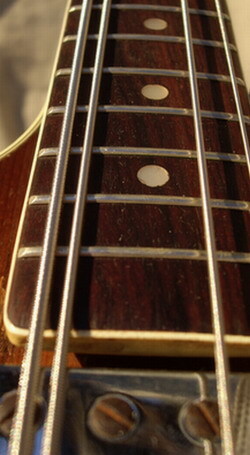 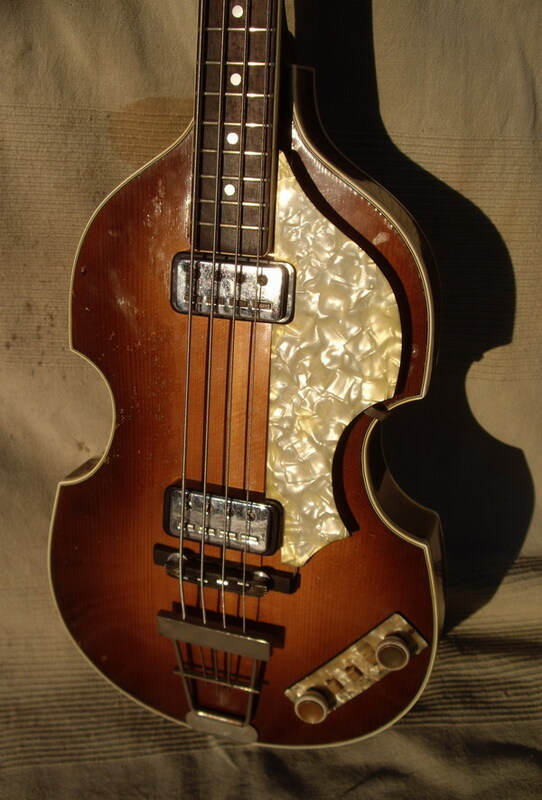 It seems that Walter's intention was to produce a bass guitar that would be appealing to players of the upright bass (double bass) who no longer wanted to carry such a big heavy instrument around to play in beat and jazz groups. 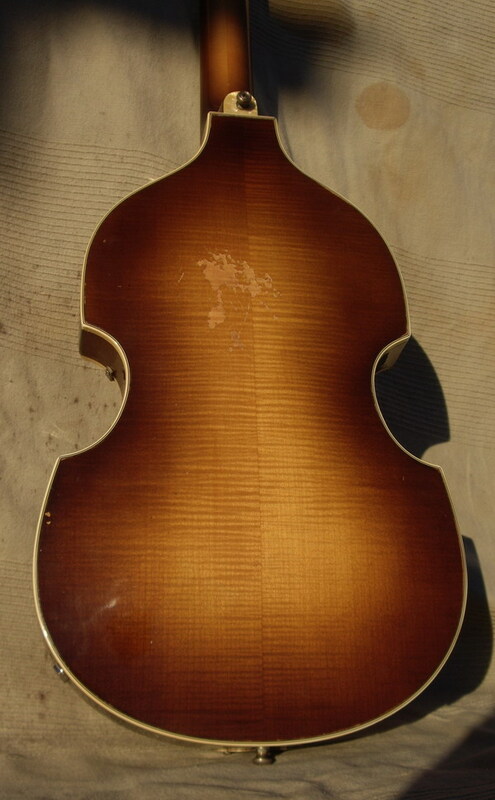 He also designed the bass so that the construction method would be familiar to the workers at Höfner who had been making violins for decades. 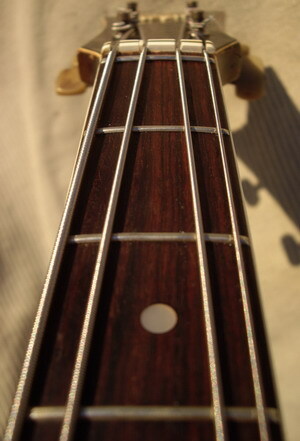 So we got a bass that has the style and shape not unlike a classical stringed instrument and built in much the same way, hollow bodied, arched topped and a set in neck. 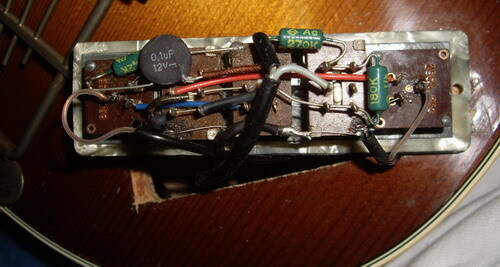 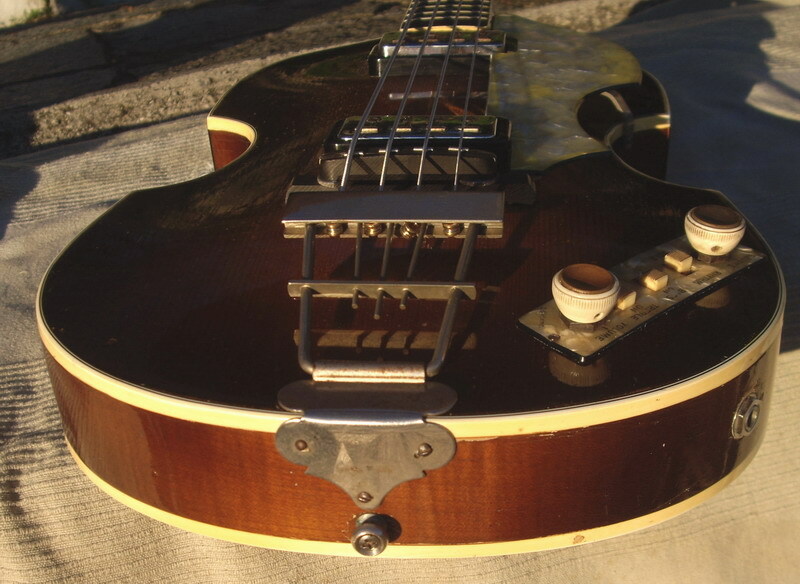 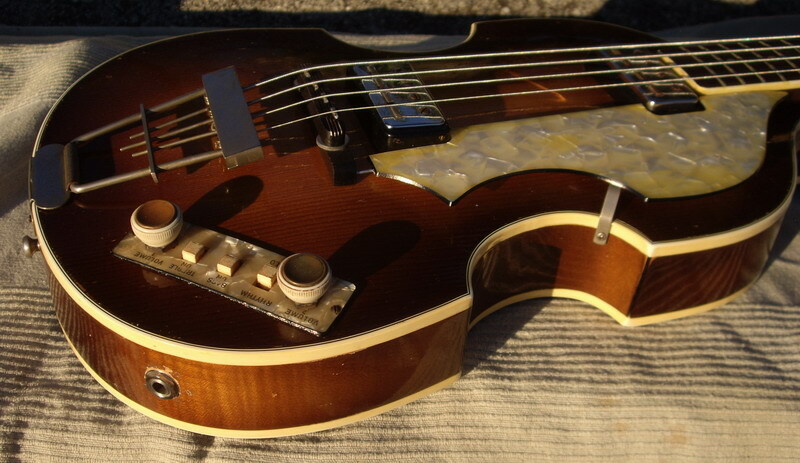 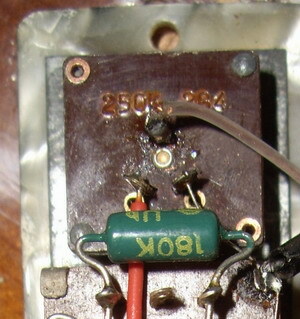 Walter used components from the Höfner electric guitar line and adpated these for the bass, so it got the familiar ebony bridge, the wire tailpiece, the oval control panel, the black bar pickups. 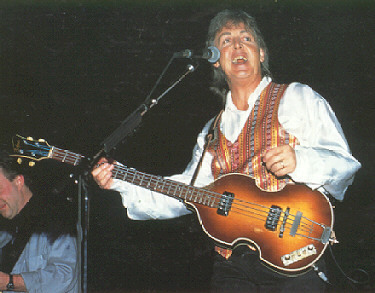 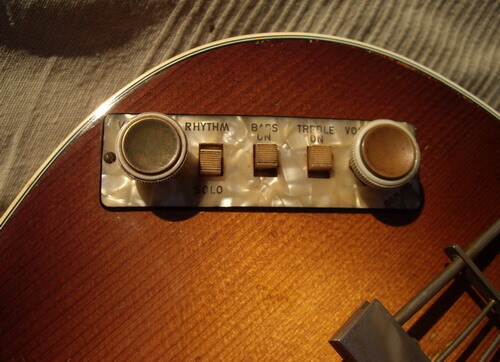 He had used all of these on his Club guitars the year before. 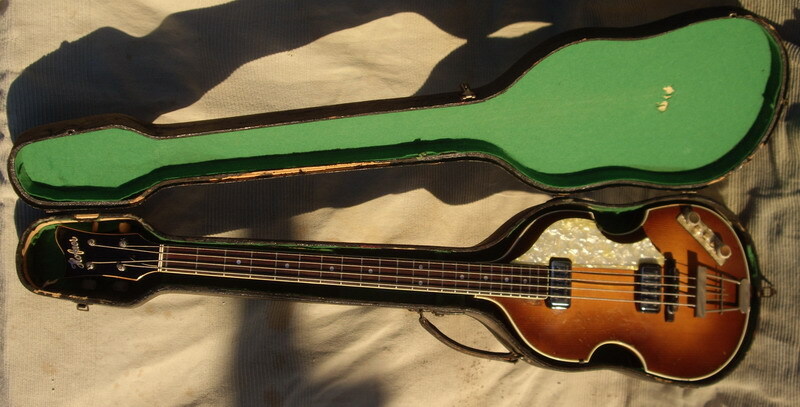 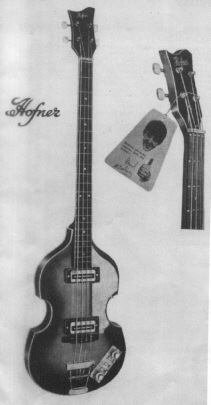 The prototype Violin Bass in 1955. 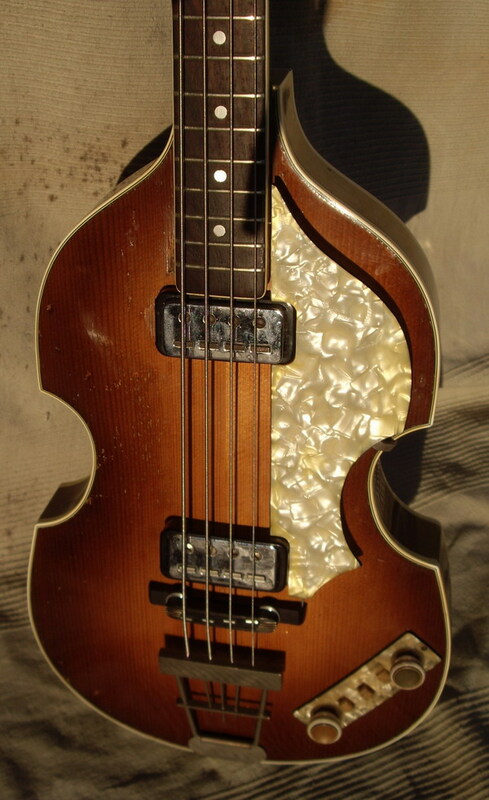 It differs slightly from production models as it has a black scrachplate and control panel and the logo on the body is on the upper bass bout, not under the tailpiece. 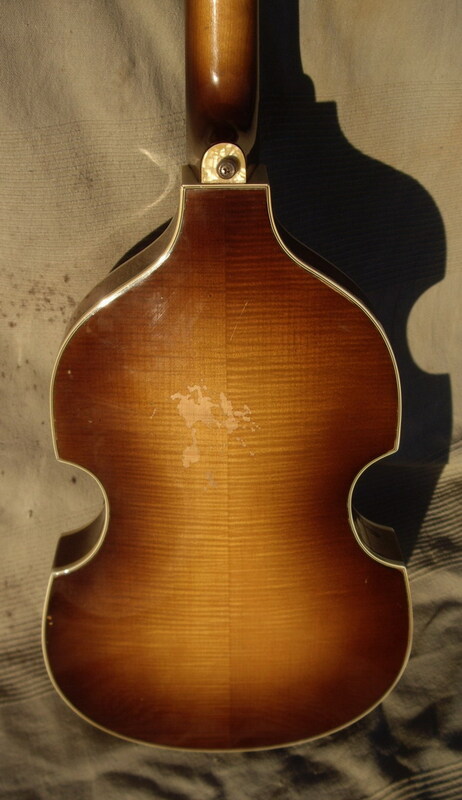 The headstock shape also appears to be slightly different to the final production design.The Violin Bass gets its public debut at Frankfurt Musikmesse in 1956. 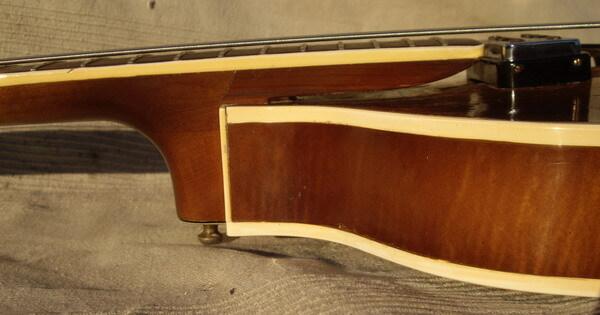 It is on the end of the front row with a Höfner 126 (Club) guitar to its right. 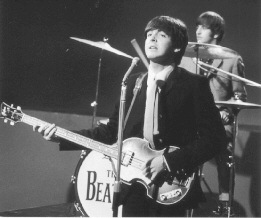 At the table is Wanda Höfner (Walter Höfner's wife) with, presumably, a customer. 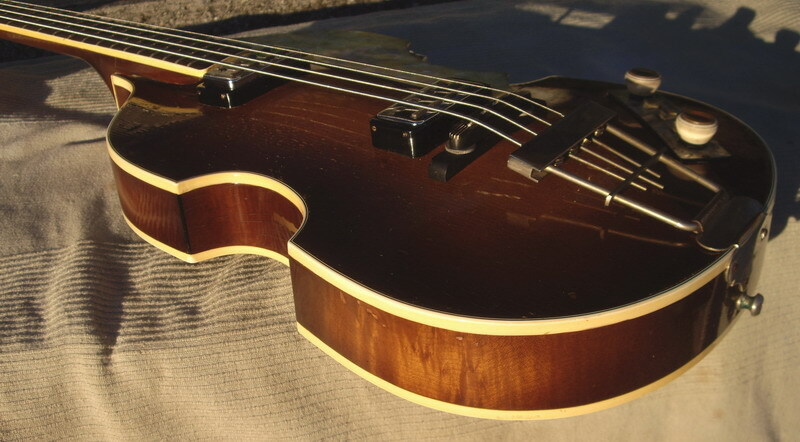 From its birth in 1956 the 500/1 Violin Bass has undergone many changes. 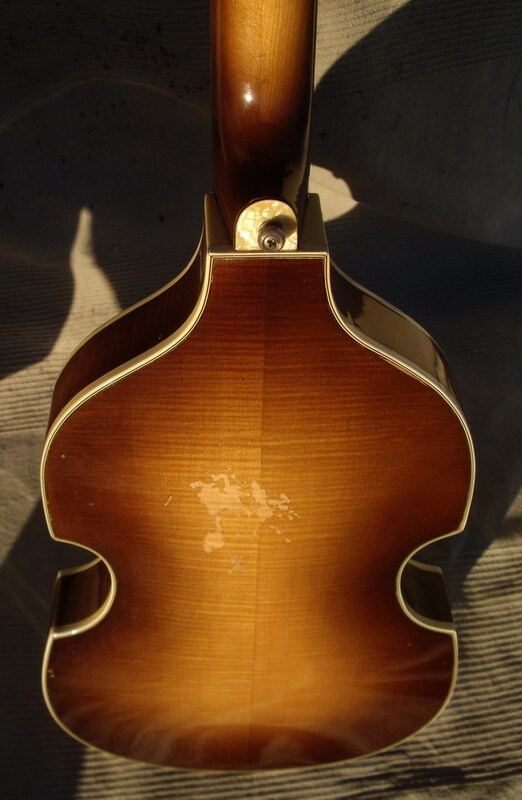 These have almost all concerned hardware changes, the body remaining virtually the same, while the neck has became slimmer.